Environment Hailsham agreed to do their bit to help reverse the trend in the loss of traditional English orchards and create a community garden that will appeal to the five senses by creating a fully accessible orchard and sensory garden for local residents. The site consists of a sensory garden, divided into different sections pertaining to the human senses (sight, sound, smell, taste and touch). Each section has its own relevant plants and structures. 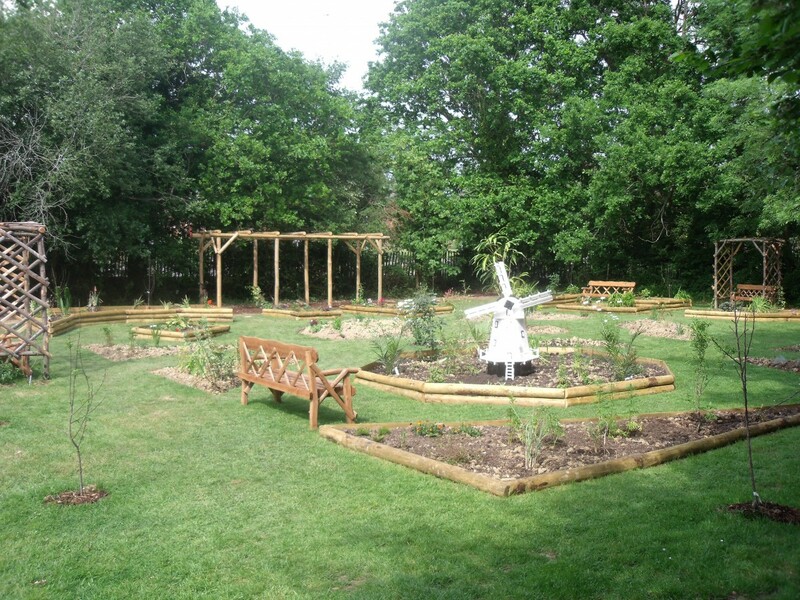 Advice and recommendations were gratefully received from the East Sussex Association of Blind and Partially Sighted People (ESAB) and Thrive, a national charity dedicated to enabling positive change in the lives of disabled and disadvantaged people through the use of horticulture. Advice on garden design tips, plant species, accessibility and maintenance was provided by other charities and specialist groups, including the Royal National Institute for the Blind (RNIB), the Royal National Institute for the Deaf (RNID) and the Sensory Trust.